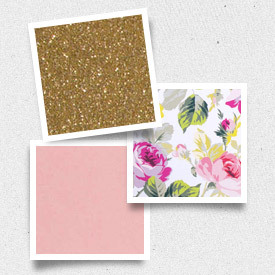 We took a bold woodcut floral design and offer them to you in a soft dreamy color palette. We were inspired by sheer ethereal bridesmaid dresses, and while there are many more ways and colors to interpret this design, we hope we have given you enough to imagine your own. 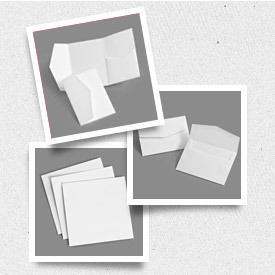 This Square ensemble is sized to fit into any of our 7x7 enclosures or our 7x7 outer envelopes. More items like matching Save the Date, and coordinating envelope liners and additional inserts are available as an added component.